College football has been one of the most talked about sports in recent memory. Whether it’s been the Southeastern Conference’s (SEC) dominance or Florida State‘s off-the-field issues, it has kept people glued to their seats. However, despite the fact that the southern portion of the United States is known as “football country,” west coast football has been on the rise, and the Oregon Ducks have led the charge. 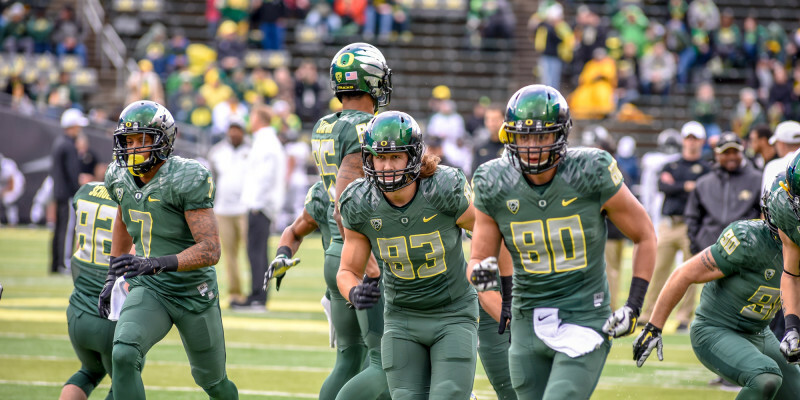 Since 2009, very few football programs have matched Oregon’s excellence. The Ducks have participated in two national title games. 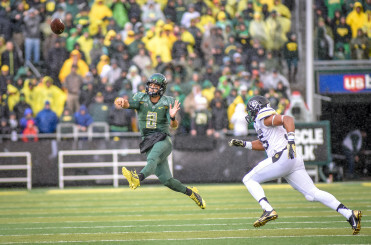 Marcus Mariota won the 2014 Heisman Trophy award, and Oregon also won 70 games during that stretch. Led by Nick Saban, the Alabama Crimson Tide is the only team in the country that has won more games than the Ducks over the last six years. Despite Oregon’s success, though, pundits across the country continue to display skepticism toward the Ducks. 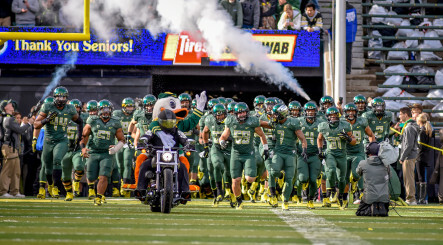 The Oregon Ducks’ “Win The Day” slogan has become a national phenomenon. According to Fox Sports’ Stewart Mandel, Oregon might continue to struggle in the new college football playoff era, which will hinder its chances of winning a national championship. In the old BCS era, the top two ranked teams in the nation usually squared off in the championship game, but with the new format, each team’s destiny is controlled by a playoff committee. And to make things more complex, teams must now defeat two elite teams instead of just one. Also, it’s inevitable that the new system will create controversy. The Baylor Bears and the TCU Horned Frogs had a combined 22-2 record this past year, but neither team qualified for the playoffs. However, according to Mandel, that’s the first obstacle that the Ducks will have to overcome. The second problem is a lot simpler: recruiting. Of course, it’s true that the Pac-12 conference as a whole has never been a recruiting juggernaut. Outside of USC, no other program on the west coast has matched the SEC and B1G’s ability to recruit. However, it would be unfair to discredit Oregon’s ability to attract great players. Although the Ducks walked away with only one five-star recruit this year, they still had the 16th best recruiting class of 2015. Also, Oregon has one major advantage: facilities. The Ducks’ Hatfield-Dowlin Complex is one of the most attractive and alluring football facilities in the country, and with Phil Knight and Nike just a phone call away, Oregon will continue to provide its athletes with the best possible resources. Marcus Mariota will go down as one of the greatest quarterbacks that college football has ever seen. Despite losing Mariota and several other key players to the NFL, the Ducks are still expected to compete for the Pac-12 title next season. Thomas Tyner and Royce Freeman will form one of the best running back duos in the nation, the Ducks receiving corps is expected to be as explosive as ever, and DeForest Buckner, who’s expected to be a top pick in next year’s NFL draft, will be the anchor on a feisty Oregon defense. The Ducks have been close to the mountain top several times, but they have nothing to show for it. Michael Jordan once said: “To learn to succeed, you must first learn to fail.” Maybe the Ducks have learned their lesson. Maybe things will be different from here on out. We’ll see.